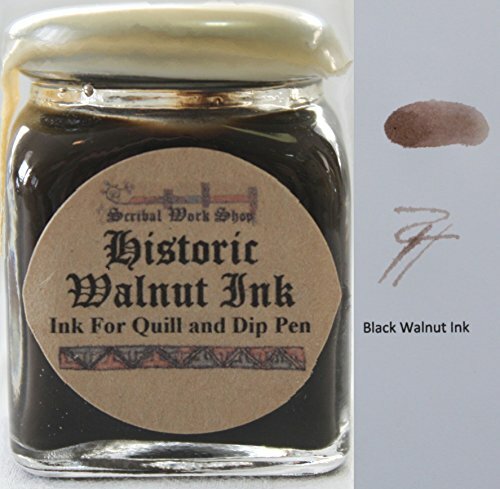 One (1) ounce of handmade Black Walnut ink is carefully crafted by hand according to Colonial era recipes and techniques, by us at Scribal Workshop, here in the USA. Used with dip pens or brushes. In a glass bottle with traditional wax dipping. If you have any questions about this product by Scribal Work Shop, contact us by completing and submitting the form below. If you are looking for a specif part number, please include it with your message.